One of America’s most versatile tenors and enlightened musicians, George Shirley remains in demand nationally and internationally as performer, teacher, and lecturer. As performer, George Shirley has won international acclaim for his performances with the Metropolitan Opera, Royal Opera (Covent Garden, London), Deutsche Opera (Berlin), Teatro Colòn, (Buenos Aires), Netherlands Opera (Amsterdam), L’Opéra (Monte Carlo), New York City Opera, Scottish Opera (Glasgow), Chicago Lyric Opera, San Francisco Opera, Michigan Opera Theater, Glyndebourne Festival, and Santa Fe Opera, among others. He was the first black tenor and second African American male to sing leading roles with the Metropolitan Opera, where he remained for 11 years as leading artist. Throughout his 54-year career he has sung with major symphony orchestras around the globe including the Boston, Philadelphia, Chicago, Cleveland, Royal Philharmonic (London), New York Philharmonic, BBC, San Francisco, ORF (Vienna), New Philharmonia (London), and the Detroit Symphony. Conductors with whom Mr. Shirley has collaborated include Sir Georg Solti, Otto Klemperer, Igor Stravinsky, Jascha Horenstein, Sixten Erling, Eugene Ormandy, Sir Adrian Boult, Seiji Ozawa, Erich Leinsdorf, Bernard Haitink, Hans Swarovsky, Josef Krips, Leonard Bernstein, James DePreist, Fausto Cleva, Boris Goldovsky, Thomas Schippers, John Pritchard, Jorge Mester, Sir Colin Davis, Riccardo Muti, Dennis Russell Davies, Karl Böhm, Henry Lewis, Julius Rudel, Edo deWaart, John Nelson, Andrew Litton, and Herbert von Karajan. Accompanists with whom the tenor has shared the stage include William Bolcom, Jonathan Brice, Martin Isepp, Martin Katz, George Posell, Samuel Sanders, Charles Wadsworth, Howard Watkins, John Wustman, and Kelly Wyatt. Shirley has recorded for RCA, COLUMBIA, DECCA, ANGEL, VANGUARD, CAPRICCIO, CRI, ALBANY, KOCH, and PHILIPS; he received a GRAMMY AWARD in 1968 for his role (Ferrando) in the prize-winning RCA recording of Mozart’s Così fan tutte, conducted by Erich Leinsdorf. He performs the role of Schütze in the KOCH INTERNATIONAL CLASSICS recording of Richard Strauss’ last opera, Friedenstag, and his COLUMBIA recording of Debussy’s Pelléas et Mélisande, conducted by Pierre Boulez, was reissued in compact disc form by SONY RECORDS. Haydn’s Orlando Paladino, under the baton of Antal Dorati, and Mozart’s Idomeneo, led by Sir Colin Davis, both feature the tenor in the title roles of both operas for PHILIPS records. A recording in a somewhat new field for George Shirley was released on the CAPRICCIO label in the fall of 1996; it features the tenor as narrator of two poems by James Forsyth, Spirit of St. Louis and Ruth, set to the music of the late Franz Waxman; the Rundfunk-Sinfonieorchester Berlin is conducted by Lawrence Foster. The tenor collaborated with pianist William Bolcom on a 2003 ALBANY recording of the song cycle Battle Pieces written by Warren Michele Swenson to the Civil War poetry of Herman Melville. A new release of recorded live performances combined with excerpts from studio recordings has just been announced by HAMBURGER ARCHIV FÜR GESANGSKUNST. Each album consists of three CDs spanning 5 decades of opera and concert performances that capture, much of it in “real time,” the diversity of repertoire that characterizes the profile of George Shirley’s career. In May, 1994 the tenor combined forces with renowned baritones Robert McFerrin Sr. and William Warfield, along with other artists, in a concert at Howard University in Washington, DC in support of plans for a Marian Anderson National Conservatory of Music. On April 9, 1994, George Shirley was inducted into the Philadelphia Academy of Vocal Arts Hall of Fame, along with Metropolitan Opera colleagues Tatiana Troyanos (post. ), Charles Anthony, and Dominic Cossa. Mr. Shirley sang the role of Herod Antipas in Richard Strauss’ opera Salome with soprano Maria Ewing in the title role in the inaugural season of the Michigan Opera Theater’s new Detroit Opera House in June, 1996. The summer of 1998 found the tenor singing his first-ever staged performances of the role of Sportin’ Life in Gershwin’s Porgy and Bess at the Bregenz Festival in Austria. Lou Williams’ Mass for jazz ensemble, soloists and choir. In April Shirley appeared as guest soloist on a concert at Jackson State University in Mississippi in an effort to raise funds to revive Opera/South, an opera company founded in that city in 1970 for the express purpose of providing African-Americans the opportunity to perform operatic roles. In March, 2013, he stepped in on fairly short notice to perform the role of Father Grenville in Eugene (OR) Opera’s production of Jake Heggie’s Dead Man Walking. 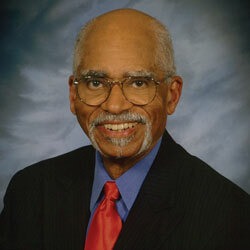 As a teacher, George Shirley was selected as one of the Distinguished Scholar-Teachers for the school year 1985-86 at the University of Maryland, College Park, where he served as Professor of Voice from 1980 to 1987. In 1979 he was selected Andrew W. Mellon Humanist-in-Residence in the College of Liberal Arts at Howard University, and returned to that historic institution in 1986 as Visiting Professor in the Department of Music. The University of Iowa, Montclair State College (New Jersey), Howard University, Morgan State University, The University of the District of Columbia, Montgomery College (Maryland), the Baltimore School for the Arts, Hampton University (Virginia), the Cincinnati Conservatory, the Manhattan School of Music (NYC), Rust College (Mississippi), Louisiana State University, the Aspen Music School, the American Institute of Musical Studies (Graz, Austria), and The Cape Town (South Africa) School of Music are a few of the institutions that over the years have availed themselves of Professor Shirley’s skills.